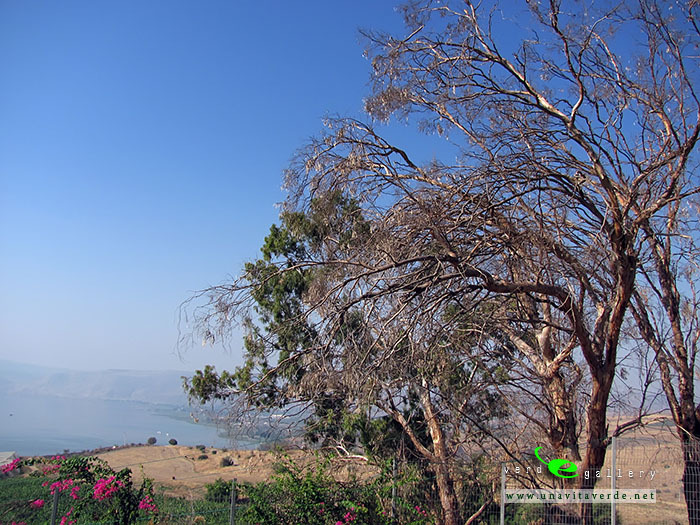 The Mount of Beatitudes (also traditionally known as the Mount Eremos) stands serenely near the northwest corner of the Sea of Galilee and Tabgha. It is the only definable mountain that is in close proximity to the Evangelical Triangle, that area in which Jesus conducted most of his ministry. The Triangle was the area falling between the cities of Capernaum, Chorazin and Bethsaida. 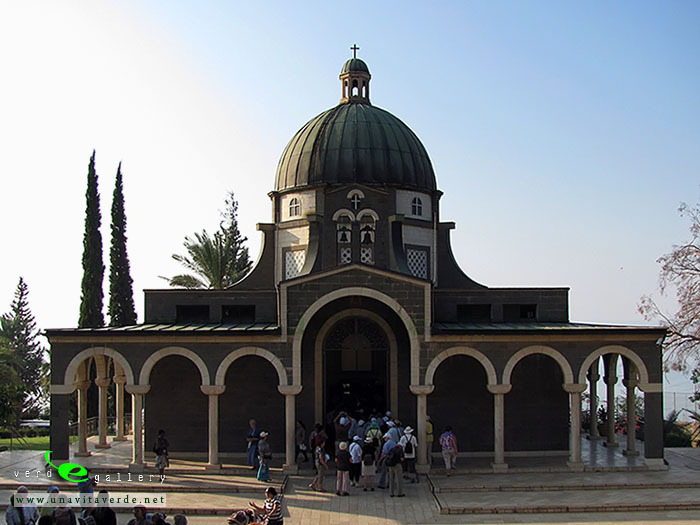 The Mount of Beatitudes is the likely spot where Jesus sat down and gave the Beatitudes of Matthew 5:1-12. Although there is discrepancy between Matthew’s version being on a hill and Luke’s being on a level place is easily reconciled with observation of many level places on the Galilean hillsides. Scripture gives no indication of the exact location of this event, but the Byzantines built a church to commemorate it at the bottom of the hill. Today the mount is adorned with a lovely Roman Catholic church built in 1937 by the Franciscan Sisters with the support of the Italian ruler Mussolini. 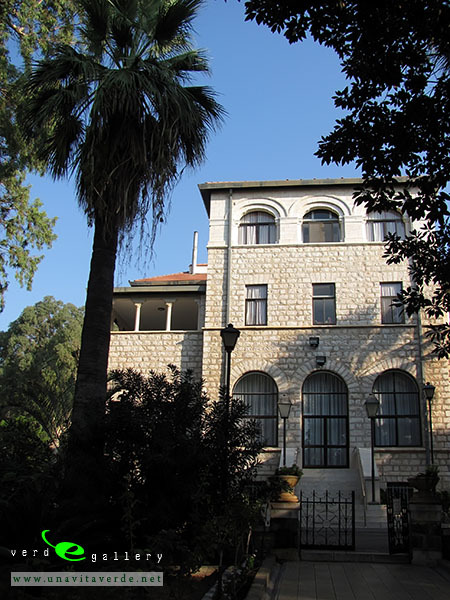 The building which was constructed by the noted architect Antonio Barluzzi is full of numerical symbolism. In front of the church, the symbols on the pavement represent Justice, Prudence, Fortitude, Charity, Faith and Temperance. Inside the church hangs the cloak from Pope Paul VI’s visit in 1964. 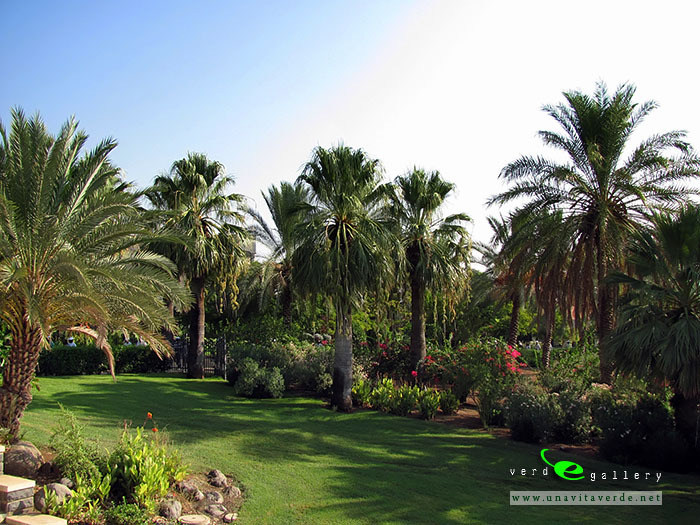 The church grounds have an abundance of beautiful flowers and a breathtaking view of the Sea of Galilee as well. Scattered throughout the grounds are plaques reminding the visitor of each Beatitude. 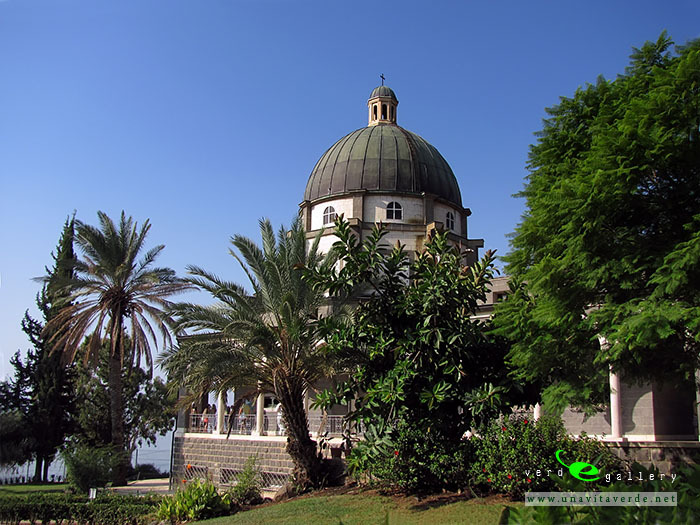 See photos of Mount of Beatitudes in this travel photo gallery from Verde Wanderer. This pictures have been taken on 27 of September, 2011.